Finding out what Browser type user is using is always required in web based application. Now when there are just too many browsers floating around you can not rely on single browser support. There are dozens of browsers from various sources. There is no single browser that is used by entire world. 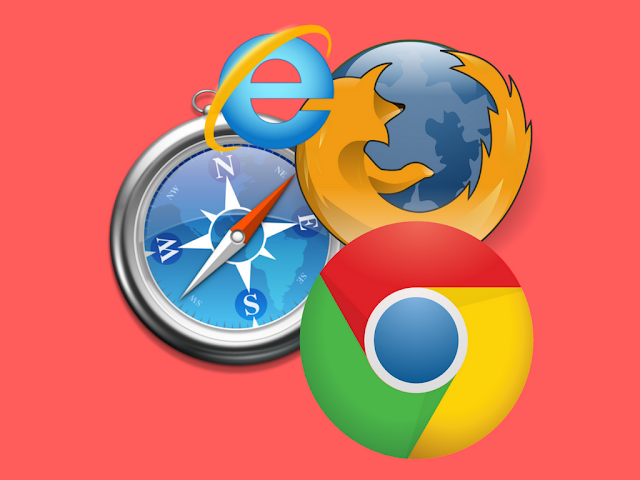 A browser comparison can show you that many different browsers are used on different platforms. Google chrome is a popular browser however there are many people who prefer Firefox over chrome. Majority of windows users still use Internet explorer. When you are making a web site then your customers can be using any browser. This requires you to support all possible browsers. Most people stick to supporting at least these major browsers. In our recent project, we are required to maintain a audit trail of user profile. This should also contain the type of client browser. So here I am trying to come up with a Browser Utility Java class. This Browser Utility class can be used to identify the client browser types and deal with multiple browsers at server side. I know this seems to be a simple code but I didn't find it done well on the web anywhere else so thought of blogging it here. Hope this helps the beginners in this area. Below is a sample BrowserUtil Java class, which contains a method called getBrowserType(). If you pass the value of user-agent (which can be found from request.getHeader("user-agent")) this method will return you the enumeration of BrowserType. You can use the BrowserType enum to do further decision making. Below is a sample class, which demonstrates how you can use this method. Add a new enum value for new browser type. Add another "else if" block in the getBrowserType method and return your new enum value. Here are few sample user-agent values for different browsers. The value may change based on the browser versions and Operating system. If you see user-agent for Google Chrome closely you will find "Safari" keyword in it. This is reason I have kept my "if condition" for checking Chrome before Safari so that it doesn't fail. Hope you find this article useful. Please share your comments with us. why would u need to deal with all kind of browsers. I guess the major browser types cover more then 90% or the clients. how many people use Flock?? Well this was true few years ago when IE was market leader. Now a days there are many people who use different browsers. Firefox is one of the very popular browsers, Flock has good social networking features and is used by many people. I don't have the exact numbers but if you have a application where you can log the user agent details then you should be able to figure out the distribution.